“I asked my soul, What is Delhi? She replied The world is a body and Delhi its LIFE” Mirza Ghalib once quoted these lines for unbeatable Delhi. A city where dawn and dusk differ merely with the change of hues as Delhi never sleeps. With the largest number of cars in this metropolitan, alongside the traffic jams, you are endowed with many glorious historical monuments, the shopping paradise in Chandani Chowk and Connaught Place and the commoving food. Delhi is not less than a roller coaster ride and in such vibrancy can you imagine a place which is abandoned, unknown to many and yet very much within the city? 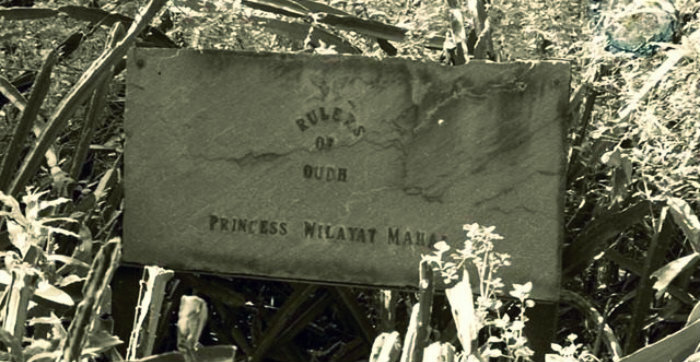 Then you need to know about Malcha Mahal- Macabre residence of royals. How about spending a day without electricity, without running water, without doors or windows and without neighbors? You must be thinking that I am going to tell you about an exciting trip to the wild where obviously these charms are not there. But just to shake your express thoughts, it is a royal residence where life had been like this for years. 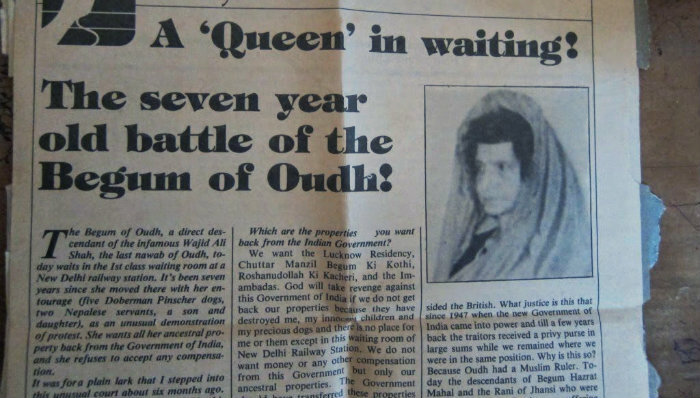 With just 6 kilometres away from Connaught Place, Malcha Mahal was the abode of the royal lineage of Oudh, wrapped in the painful silence which nobody was allowed to unclutter. If anybody dared to get the glimpse of this macabre residence of royals, his soul was shaken with a proclamation stating, “Entry restricted. Cautious of hound dogs. Intruders shall be gunned down.” Topping the scariness, the stories of ghosts unfazed Malcha Mahal even more. So who exactly was living in Malcha Mahal? Dead or Alive? Shikargaah of 14th century made by Feroz Shah Tughlaq, Malcha Mahal was allotted to Begum Wilayat Mahal, the self-proclaimed great-granddaughter of Nawab Wajid Ali of Oudh in 1985 by the government. You would be dazed to know that for getting a royal abode to live, Begum Wilayat lived with her family in the waiting room of New Delhi Railway Station for nine years. But I think that was way better because what Malcha Mahal had was few arches without doors and that too without electricity and water in name of the palace. Just imagine seeing a snake bring us tremors than how this family would have lived in a home full of reptiles, spiders and bats. Nobody knows was it the financial traumas or other agonies which forced Begum Wilayat to commit suicide in 1993 and leaving Prince Riaz and Princess Sakina all by themselves. The wrath did not end here and the most daunting part is that Prince Riaz and Princess Sakina did not bury their mother’s body for almost ten days and sat beside her as if she was alive. Even when she was buried, people did not leave her body in peace, they dug out her grave again and again in expectation of treasure. This made Prince Riaz furious and he burned his mother’s body and kept the ashes along with him in Malcha Mahal. If reading this was not bloodcurdling for you then let me tell you that these two royal siblings with their four hound dogs continued living all alone without electricity, water and outside connection. 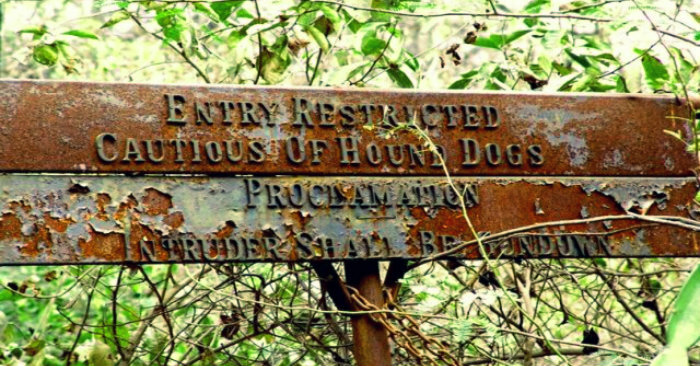 Being a haunted area there is not much activity in that area and above that whoever went near the palace the hound dogs were ready to eat them up and were even warned to be shot dead. Prince Riaz sometimes came out of the palace to buy meat for dogs but Princess Sakina never went outside and to add more spookiness she wore only black. Delhi Earth Station is next to Malcha Mahal but just imagine even the official were terrified to speak with them. With time, their dogs left their side and in 2017 Princess Sakina joined her mother in heaven, the exact time of her death is still unknown. On 2nd Sep 2017, even the Prince left the world and the macabre residence of royals. What still exists are the rumours of it being a palace which is tormented by ghosts but ironically there has been no evidence of any paranormal activities which could prove it a haunted palace. 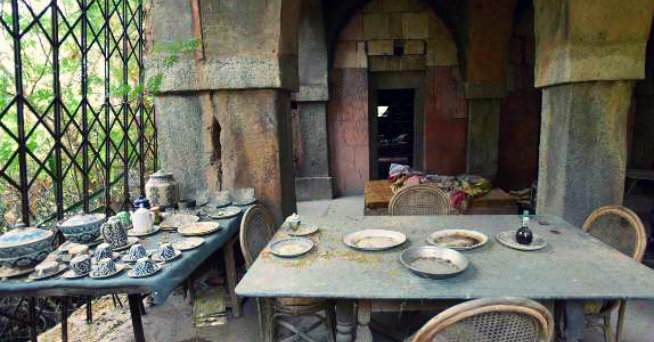 It is just an abandoned palace with a spine-tingling tale of pain and mourning. Princess Sakina once said this to one of the foreign correspondents but what do you think is being ordinary so evil that you can live a vulnerable life in poverty but cannot shed the false royal peripheries? I think royalty is a mindset rather than luxurious lifestyle. When you visit the Malcha Mahal you can still sense the royal touch even in the cobwebbed tatty palace. The dining table is still set with the porcelain dinner set and wine bottle. The glass which Prince Riaz filled with fresh water daily is still there though now it’s a small home to algae. The scattered old Persian carpets, the royal documents and photographs in Malcha Mahal seem calling their holders to take them along because they too cannot take any public intervention. In all, as Mir Taqi Mir, the legendary poet stated, “Dilli ke na kooche thhe, aurake musavir thhe, jo shakl nazar aayi tasveer nazar aayi”, so on your trip to Delhi where every alley is a painting, do see these gruesome paint strokes as well.